The names change, but the behaviors are the same. Anyone who has managed a staff for any length of time has likely encountered the toxic employee who makes everyone he or she meets miserable, particularly the manager. Most managers are unprepared and frequently under-supported by their bosses and organizations for this situation. It becomes a demoralizing drain on everyone’s energy and has caused more than a few managers to jump ship for a contributor role. 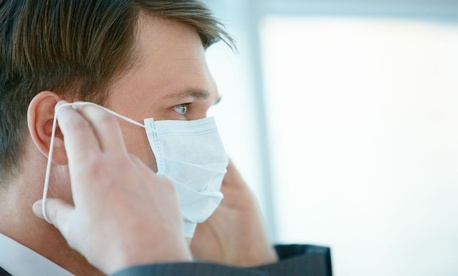 Here’s some guidance for coping with an employee who is making you ill. If you find yourself walking on eggshells, something is wrong. Toxic employees are masters of making everyone around them tread cautiously. They understand the impact they have on others and bare their fangs at the first sign of a challenge. Coworkers and managers accustomed to dealing with generally decent people find themselves avoiding or walking softly around the toxic employee hoping to avoid an ugly confrontation. Of course, the toxic coworker knows this and plays it for all it’s worth. And the situation lingers. Quickly move from defense to offense. Your instinct is to attempt to calm the beast through excessive and unwarranted kindness and positive feedback. It’s hollow, and you and everyone around you knows it, although they do the same thing. Instead of backing off or avoiding the issue, you have to engage. Focus on observing your team members and this individual and watch for behaviors that detract from workplace performance. (Observed behaviors that impact the operation are the gold standard for constructing an effective feedback discussion). Engage HR early in the process. There’s always a process, and you need to follow it. Engage early by apprising your representative of the situation and asking to review the formal process should this situation escalate. While I offer some counsel for working with HR below, and I often believe HR can do a better job supporting the firm and values versus protecting against lawsuits, you do have to partner with them for this challenging situation. If the toxic behavior disappears, great—just don’t count on it. Much like the parable of the Scorpion and the Frog teaches us, people don’t change their nature. You cannot change someone, and most people will not make an effort to change. Remain diligent in observing employee interactions and in providing constructive and well-earned positive feedback to everyone around you. Just don’t pull punches or sidestep the feedback for the toxic employee. As needed, escalate—add teeth to the situation. The constructive feedback discussion seeking positive behavioral change is an excellent starter. If as expected, the needed change never manifests, continue to escalate by working with HR and putting some teeth into your approach. It’s time for an “improve or exit” performance program. Keep your boss informed. There’s a balancing act with the guidance on keeping your boss informed. You should keep her apprised of the situation and your steps to resolve it. Don’t make this a daily, “You cannot believe what he/she did today,” melodrama. Keep it about business and process. Your boss is both concerned about the team health and secretly worried that this will come back to bite her if it is mishandled. Particularly deft managers will work to gain their boss’s support, including, if needed, engaging with the employee in question. Just don’t ask the boss to do your job. You are looking for support, not a substitute. The single biggest complaint of managers navigating a toxic employee situation is the lack of what they define as adequate support from HR. From an inordinate number of obstacles placed in the way of resolution to timeframes that exceed the gestation period of an elephant, many managers find themselves at loggerheads with HR in these situations. Human Resources rightly has a process to ensure fair, well-documented handling, should the situation end up as a complaint or a lawsuit. HR wants this to go away as well—preferably by seeing it resolve amicably. Firing can be messy and filled with legal ramifications. Manager: Follow the process. Document everything. Apply the same feedback practices to all of your employees. Keep your follow-up commitments with the employee in question. Keep HR informed. H.R. : You can do more, faster in these situations. Your obligation should be to ensure the health of the workplace. Get involved. Ensure the claims are legitimate. Ensure that the manager is engaging fairly and with due process. And if it cannot resolve positively, do everything in your power to help the company by getting the toxic employee out of your workplace. Fail to do your job properly and promptly, and the cost to your firm will grossly exceed the cost of a spurious claim. The stress of dealing with a toxic employee is draining for most managers. The situation compounds when they withdraw from the rest of the group and fail to provide the coaching, support, and feedback essential for performance. Remain engaged daily. Take care of yourself during this process. It is easy to let that one bad apple spoil everything about work for you. It’s important to remain mindful of your larger purpose—forming and supporting an environment for the right people to do their best work. Strive to keep the issue in context. It’s an issue, not a judgment on your worth and ability as a manager. Remain engaged with your entire team, by focusing on their development. And take strength and solace from your willingness to actively confront the toxic activities of this one employee. Keep the faith—this too shall pass. You are in charge of your career. There will be bumps, twists and turns, and occasional crashes. They are unavoidable. Stay committed to growing and performing. This situation will serve as a powerful learning lesson. I still use variations of every one of my major mistakes or challenges in my cases as a graduate management educator. I’ve navigated this situation a few times myself and have learned to hire slow and fire fast to avoid it. I also cultivated the power and influence needed to support the firing fast. You need to do the same. Your success with your team, your results and your good corporate citizenship all are essential for growing your influence. Work to make certain the view on you is high performer/high potential, and model your organization’s values daily, and you will be amazed how helpful others will be with your occasional challenge. It’s your job to support your organization’s values and strengthen the culture and working environment. It’s not fun to have to cull the toxic employees from the herd, but it is essential, and it is part of your job. Instead of avoiding the challenge, you need to engage. Today.